We interrupt our current programming for…well, this. 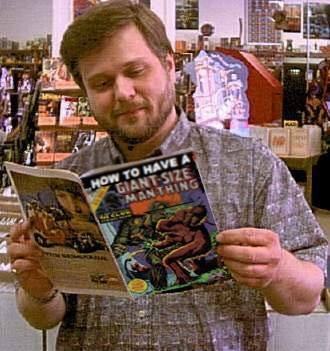 Hey, come on now, I clearly don’t need to learn how to have a Giant-Size Man-Thing as I’m obviously holding…a copy…right…OH WAIT I GET IT. Anyway, I’m pleased to see in the comments there someone, like, immediately identifying me, and someone else there saying “I’d rather have a Swamp Thing,” and I agree wholeheartedly…so here you go, friend! There’s also someone in those comments who briefly describes a meeting with Jim Shooter and getting him to sign a copy of Man-Thing Vol. 2 #1 (said signed copy pictured there as well). Anyway, as I told one of my Twitter pals when he informed me of this “new” picture…I knew the job was dangerous when I took it! And by “job” I mean “writing a comics blog and putting pictures of myself on it,” which is by no real definition a job, but, y’know, close enough. 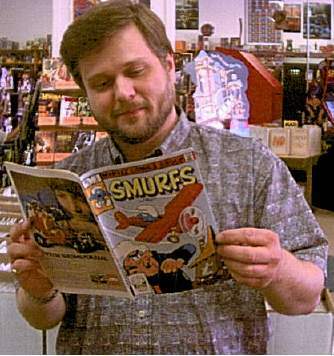 And frankly, the original Smurfs version is only a tad less embarrassing. So let’s go ahead and add this to the collection. This program is rated “TV-Y7,” in case you were wondering. And yes, as discussed previously, Marvel Two-in-One #1 is missing, despite the later issue #43 being included, and Daredevil #114, another very early Man-Thing appearance that would fit right into the chronology of stories here, is also AWOL. Despite those omissions, which any true Man-Thing fan should have anyway, this is one good-looking volume, and, as hoped, the printing in this book does vastly improve the readability of these stories. I don’t mean the stories are suddenly better, but rather it’s physically easier to read, with the paper nice and bright and the occasional text piece, and the occasional white lettering on a black background text piece, are now far more legible. 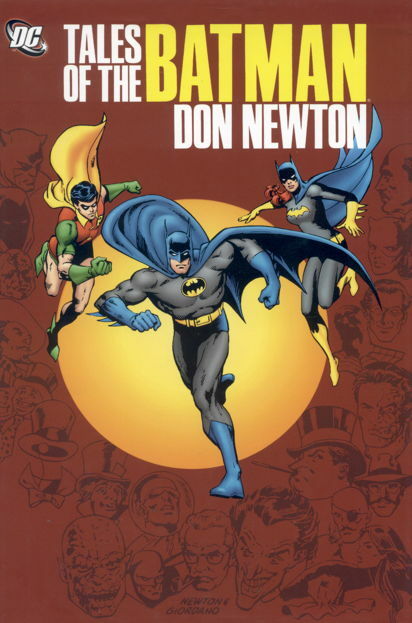 There’s the other side of this, where, as I noted in my look at the Don Newton Batman book, actually seeing the artwork on white paper is something I’ll have to get accustomed to after reading them for decades on brown paper that’s getting browner. In case you’re wondering, the back-ups from the Giant-Size issues, including the Howard the Duck shorts, are not reprinted. 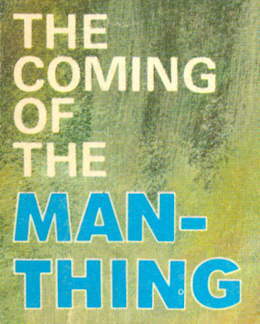 Starring Man-Thing Only in this book, friends. 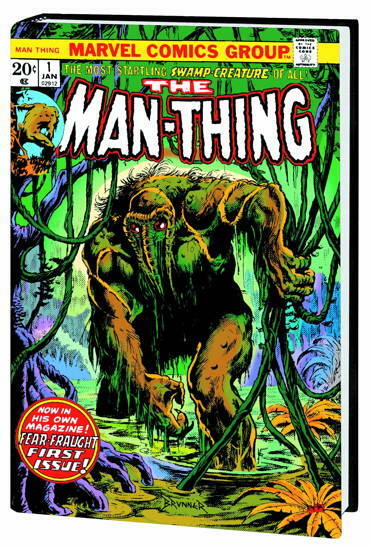 Buy enough of these, maybe we’ll get that second volume collecting all the other Man-Thing stories. I mean, I just need one copy for me, Marvel doesn’t really need to print a whole lot of them. Don’t worry, I’m reasonably certain this isn’t leading into another two weeks’ worth of Man-Thing posts. Some follow-ups to Monday’s Man-Thing post, because why not? 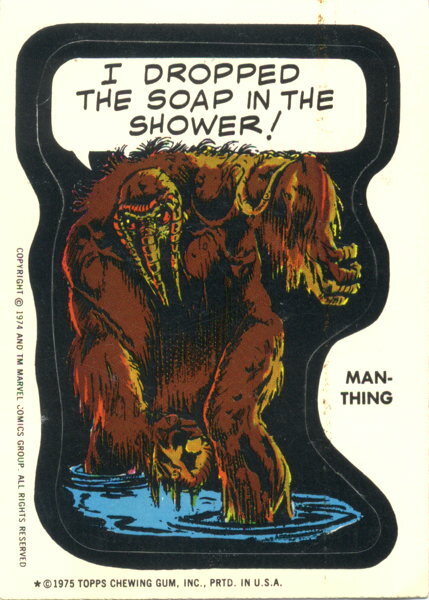 There’s more Man-Thing out there…there was this short-lived ongoing, the serial from Marvel Comics Presents , assorted cameos, that one Giant-Size Spider-Man issue, I think an Iron Man annual, this thing, and so on. 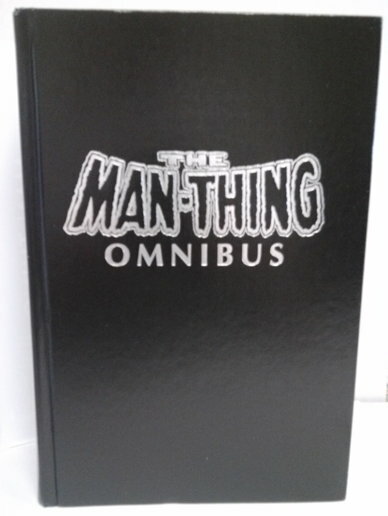 I don’t know if it’s another 1,200 pages, or anywhere close to justifying another omnibus, but it’s a not-insignificant amount of Man-Thing. Also, the more I think about it, the more I am coming to believe that the omission of Marvel Two-in-One #1 from the contents listing I reprinted in my last post was simply an accident. It’s not impossible that they left that issue out for whatever reason, but it seems very unlikely. I’m betting it’s in there. …Well, not enough to bet $125 on it, but I’ll let one of you buy it and tell me for certain. And that’s a shame. I feel pretty safe in suspecting the solution is “money, and lots of it” but I doubt the financial return in obtaining usage rights to reprint one story would be worthwhile. But, heck, it’s not like that particular issue is too hard to find. Ask a comic book guy near you! Or even ask me…I’ve probably got one or three in our back issue assortment, somewhere. Someone remind me to poke through my Overstreet when next I have an opportunity to see if these reprint-verboten issues are suddenly commanding slightly higher prices than their freely-reprintable comrades surrounding them in those particular runs. 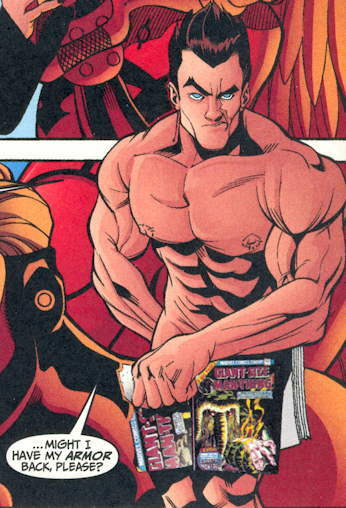 I think there’s a Hulk trade paperback just recently solicited that skips over this issue, and of course there’s that one issue of Power Man and Iron Fist that’s forgotten by God and man and Marvel’s reprint department. I’ll have to see if the stockpiles of those issues I’ve been investing in are sellable now…wait, what? No, I didn’t say that. Must’ve been someone else. …which is one of three covers for that first issue, and you can see the other two in this Marvel.com article about the series. …No, I’m not getting every variant cover for this series. Why, that would be crazy. 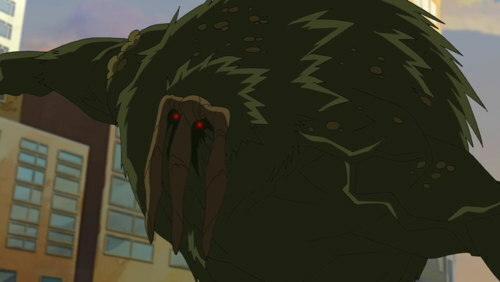 That’s a lot of Man-Thing. 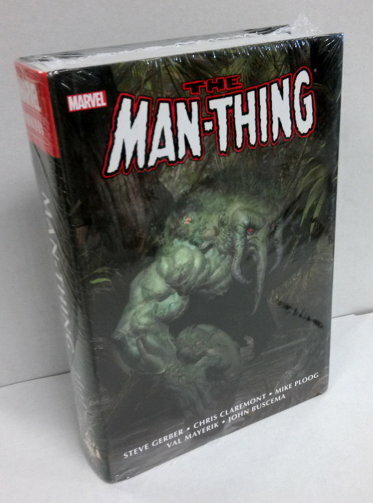 First thought is, as Chris more or less implied in his response to my Twitter post about this book, if anything deserves to be called Giant-Size Man-Thing , it’s this monstrosity. Secondly, it seems odd that they’d pass up Marvel Two-in-One #1 while including Marvel Two-in-One #43, which is also (as I recall) the second part of a two-part story. Plus, there are a couple of other appearances of Manny in this general time period that don’t appear to be part of the contents…but they gotta leave something for Man-Thing Omnibus: The Second Volumening , I guess. One more note: I could have sworn something like this already came out, but I didn’t see any record of it in our distributor’s stock listings. Maybe I was just imagining things…Man-Things, that is! A brief site update: I think I am a lot happier with the reduced posting schedule. I’m enjoying working on the posts more, and it feels like I’m actually having something to say rather than having to say something. 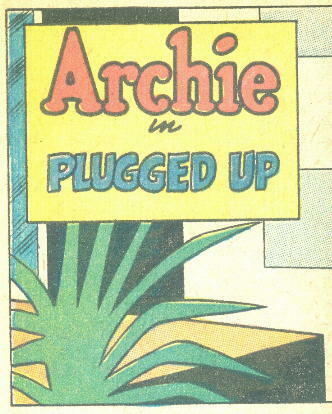 Even the single-image gag posts are the result of just having come across those images and wanting to share them, rather than scouring books seeking out something to scan. In addition, the new schedule frees me up to do things like, oh, reread the entire run of The Boys thus far, in preparation for the series wrapping up in the few months. I don’t have a whole lot to say about that, other than noting that the story certainly flowed a lot more smoothly for me reading it over a relatively short period of time, instead of an issue a month for about six years. Easy to lose some of the nuances, and to lose track of some of the set-ups and payoffs, of the plot when you’ve got four weeks between installments. Anyway, got sidetracked a bit there…what I’m trying to say is that I’m ultimately pleased with having dropped the pace down a bit here at the site, and I hope that comes across in what I’m doing. Thanks for your patience, and for sticking around and reading my nonsense. 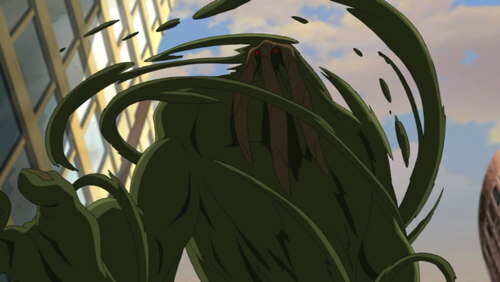 Oh, sure, let’s talk about Swamp Thing for a bit. 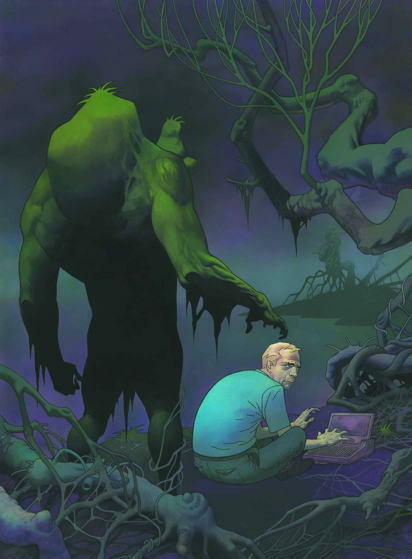 …so that when it’s totally blown apart in the second book I’m recommending, Saga of the Swamp Thing hardcover volume one, you feel its full impact. I’m recommending the hardcover versus the softcover edition because 1) the hardcover includes issue #20 of Saga of the Swamp Thing , which is Alan Moore’s first issue but not reprinted prior to this. 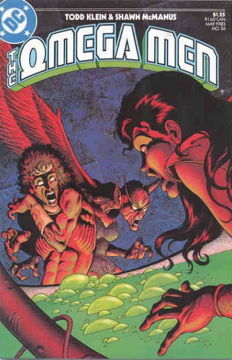 It was seen more as an end to the previous storyline and not a suitable beginning to a trade paperback, which was crazy talk, frankly; and 2) there was a production issue with a caption being dropped off from the end of issue #24 (“…And meet the sun”) in prior reprintings, which is now fixed in the hardcover. (I think it wasn’t there in earlier printings of the hardcover, so you may want to check.) EDIT 8/21: I totally lied…it’s fixed in the recent edition of the paperback but the Saga of hardcover is still missing the caption. Sorry, my memory is apparently…um, something. And that’s not just for Professor Booty. I expect all of you reading this right now to rush out and buy these. I want your book reports on my desk by Monday. Also pointed out in yesterday’s comments by Professor Booty is this contribution to the “DC Fifty-Too” project (where artists create their own covers for theoretically-relaunched DC #1s). 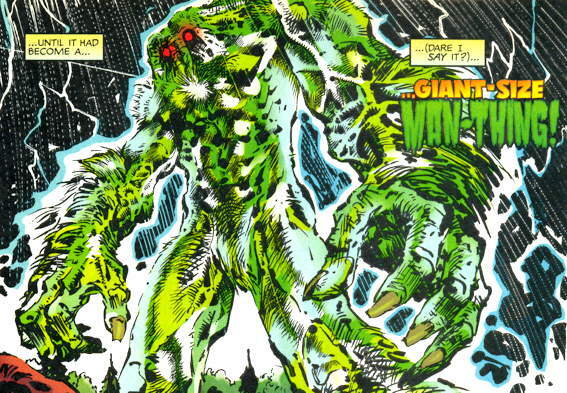 …I’m trying to think if Swamp Thing and the Creeper ever met, or were even in the same panel (like in a Crisis tie-in) or on the same cover or something, at some point. Up way too late and am way too tired to think of any right now, but one of you smart people out there will remind me if such a thing exists. Chris sent me a note pointing me in the direction of this swell sketch of…Man-Thing? Well, it’s not Swamp Thing, but it’ll do, it’ll do. ATTENTION COSPLAYERS ATTENDING THE SAN DIEGO COMIC CON. 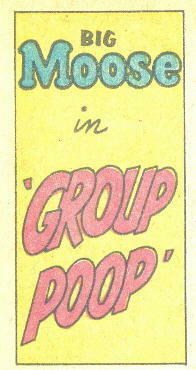 Scanned from FOOM #10 (June 1975). I sure hope the poor guy had some battery-operated fans in there. Also, he wasn’t carrying a sign – that’s the title of the article superimposed over the photo. I only mention it because I know you jokers will crack wise about it in the comments. 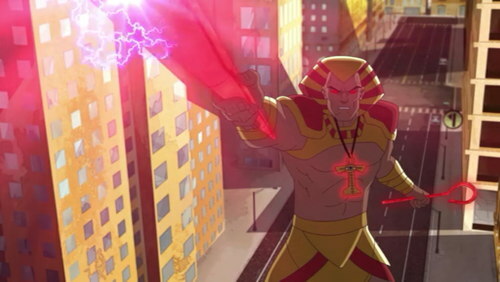 Tomorrow: some non- FOOM content. Hopefully. 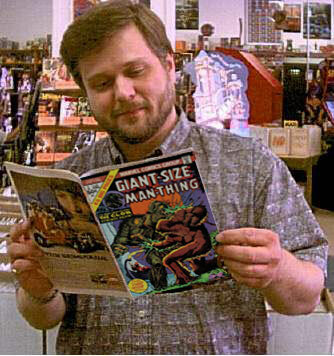 So let’s wrap up these two weeks of Man-Thinging with a little bit of class, as we turn our gaze upon one of comicdom’s favorite only-just-barely-double entendres, the title of the five issue series Giant-Size Man-Thing . 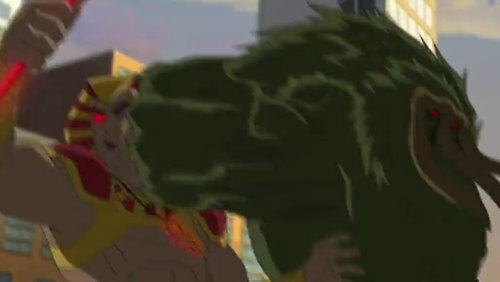 The last time I addressed it, I asserted that there was only one “in-universe” Giant-Size Man-Thing gag that I knew of, and some of you responded letting me know of a couple of others I’d forgotten about. 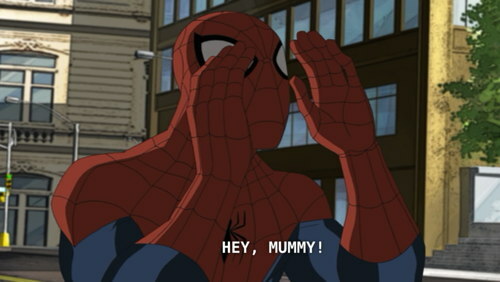 Some additional information, including some possible background on the gag, can be found at the end of this Marvel Universe Appendix entry. 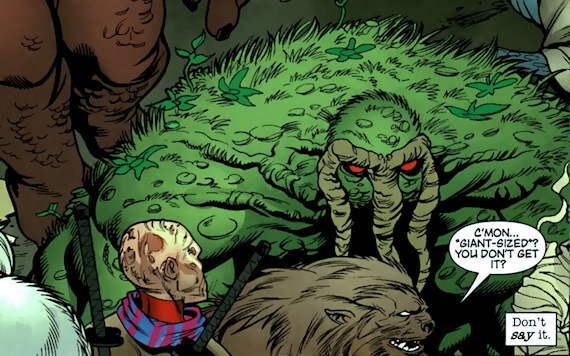 And there you have it, a tour of Giant Size Man-Thing jokes from within the Marvel Universe itself. If there are more, I’m sure we’ll hear about ’em in the comments. 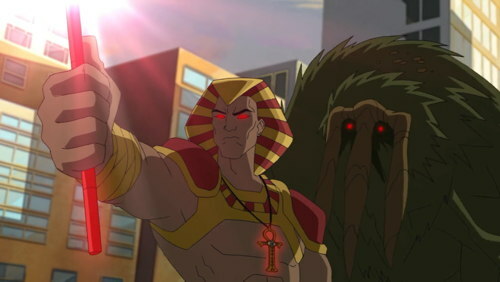 Thank you, everyone, for putting up with my peculiar obsession with Marvel’s swamp monster over the last couple of weeks. Sometimes I just get that urge and have to let it all hang out.